It can take over your life. (SPOT.ph) Today is going to be awesome! You have a date with your crush—everything is planned, all your reservations have been made, and both your parents know about it, too! It's the perfect set up. You eagerly jump out of bed, strut a little toward the bathroom, and get ready for your morning ritual. 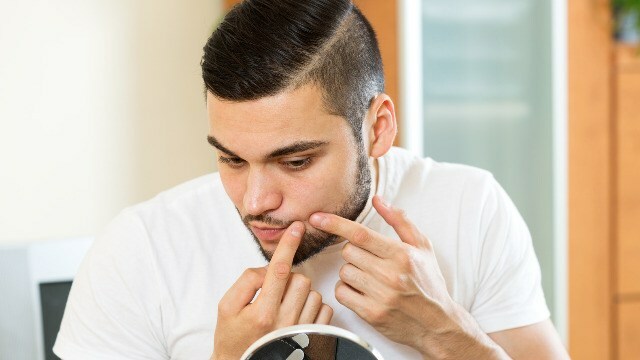 You're about to practice your winning smile in the mirror but then your heart sinks—there's a giant, red pimple on your nose. LIFE IS NOT FAIR. But this is how you deal with it. Sometimes, it's just bad luck. There's not much else you can do other than be shocked at the point of discovering a huge zit on your face. "Hindi ito totoo. Kagat lang ito ng langgam." Is it really there? Okay, it’s there. Maybe it’s just an insect bite? Nope, its a pimple. "Sabi na nga ba dapat naghilamos ako kagabi." You shouldn't have gone crazy with the bagnet, too. It's the pain of embarrassment from having to face your date with a huge zit on your face. The temper tantrum is natural. Maybe there'll be shouting. There's nothing you can do other than just to let it pass. "Baka naman pwede pang idaan sa hilamos." Can you pray this pimple away? Don't think so. "It's not like I can cancel my date because of a pimple." Disappointing, we know, but it's not the end of the world. A few minutes after your pimple’s birth and as you become more functional, you become resigned to the fact that it’s really there. Instead of complaining about it, you seek for simple solutions and you go for a trusted remedy. "Sige, bahala na si Batman." Find a way forward; it’s just a pimple. But, no matter how annoying it looks and how dirty you feel, it’s not advisable to pop it. Just break out the medicine and treat it regularly so you can continue on with your life—it’s not the end of the world! Besides, if that girl really likes you, she won't mind too much that you look like Rudolph the Red-Nosed reindeer! But what's even better is practicing preventive maintenance by using products that prevent unwanted breakouts. Try Master Deep Cleanser, which cleans your face to remove excess oil and dirt that soaps can’t. Ang sikreto ng mga gwapo will help you stay acne and worry-free. For more information, visit Master's website. This article was created by Summit Storylabs in partnership with Master.